Islam is a complete code of life in which Allah (SWT) mentioned all things which are forbidden and permitted. Those things which are forbidden by Allah (SWT) are known as Haram things that we are not allowed to do. These Haram actions come in major sins that Allah Almighty strictly forbade us from doing them in our lives. 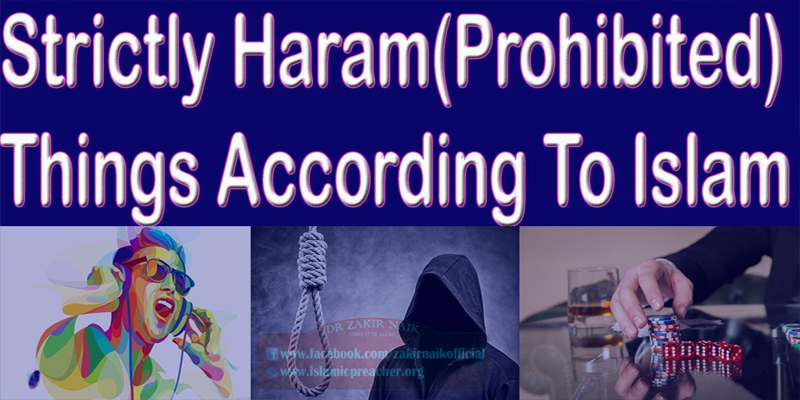 Haram is the things which are prohibited in the Quran and the Sunnah. These actions violated your soul. BELOW WE WILL DISCUSS SOME MAJOR ACTIONS FORBIDDEN (HARAM) IN ISLAM.